The Alan Tam Crapping Hour concludes. First up, the sequel to Once Upon A Time A Hero In China called Master Wong Vs Master Wong. Featuring Alan Tam as a rather useless Wong Fei Hung and really the Wong Fei Hung no one asked for but we got anyway. To cap it all off, we go back to 1982 and ghost-comedy shenanigans from Cinema City with an added special effects make-up talent from the West in the form of Tom Savini. 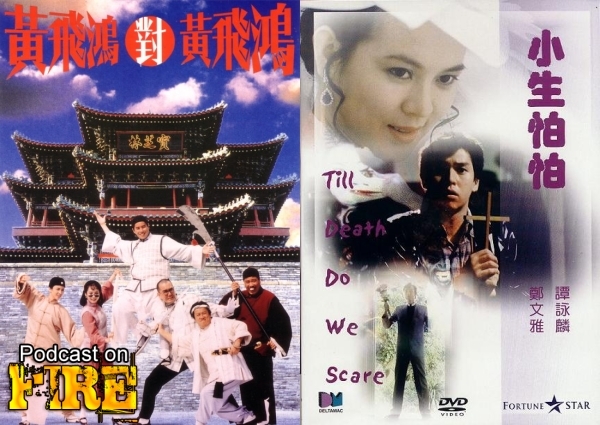 We therefore conclude the Alan Tam series with our review of Till Death Do We Scare. With Kenny B and Eastern Film Fans.co.uk head honcho Phil G.